I've been eyeing duo-chrome/holographic (is that the right term?) 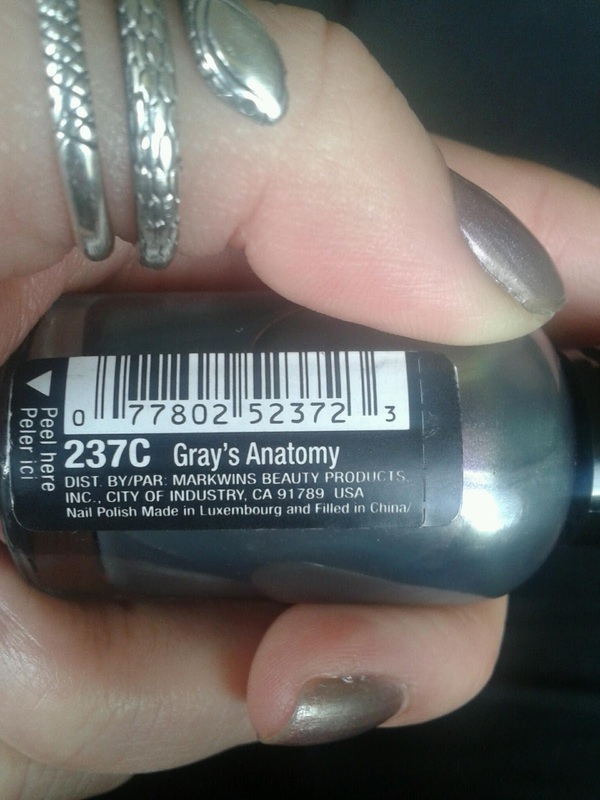 type of nail polishes for awhile but never wanted to pay a lot since I really just wanted to try them out.Then I saw this one from Wet & Wild from their fast dry line in the color Grey's Anatomy (I also saw a new Revlon one out, but this one was cheaper). The picture doesn't capture it too well, but in real life, the polish in the bottle has more of an oil slick with more green to it. In this last picture, you can sort of see the duo chrome effect. 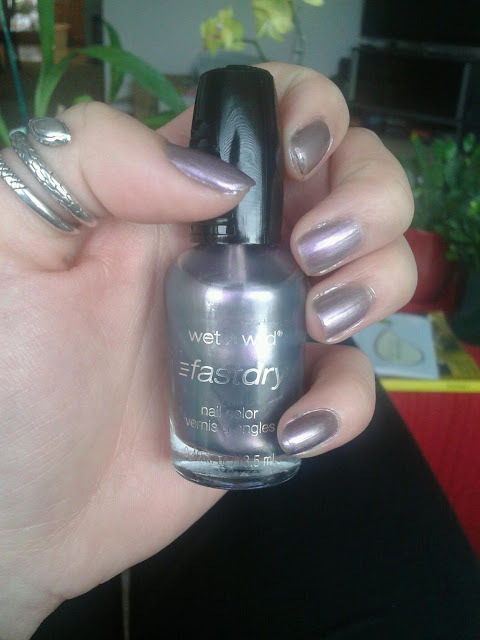 I bought this polish at Rite Aid where they had a 40% off of the Wet & Wild line, so I ended up paying less than 2 dollars for this. The forumla was really nice to work with, it was smooth and not thick at all, however it did take a numerous amount of coats to build it up to the intensity I wanted. 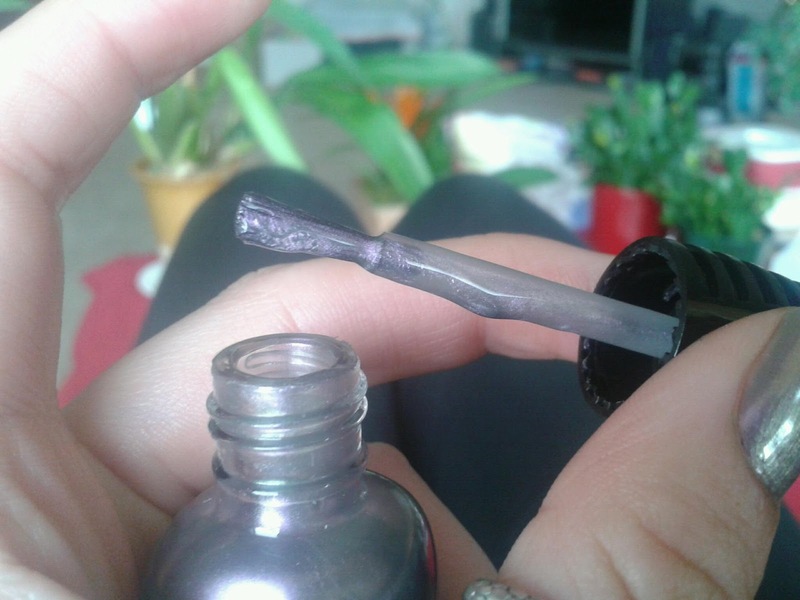 I wanted to see how long it would last without a base and top coat, and at most it lasted a day before it chipped. 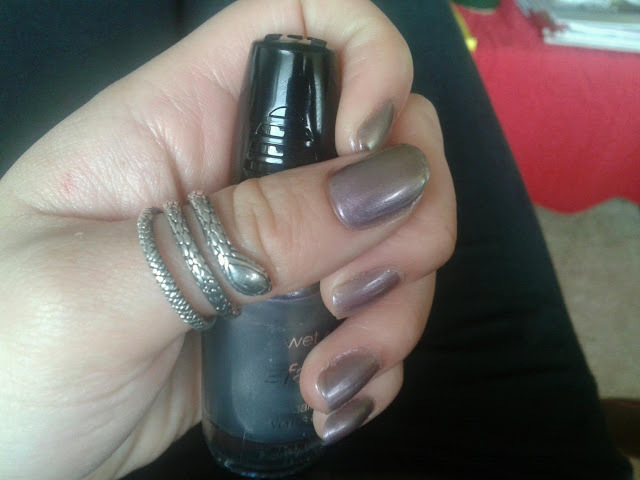 I'm know there are better polishes out there with this look, but for the price, its nice to have in your collection. I imagine it would look pretty nice on top of a solid polish too like black..just a thought.